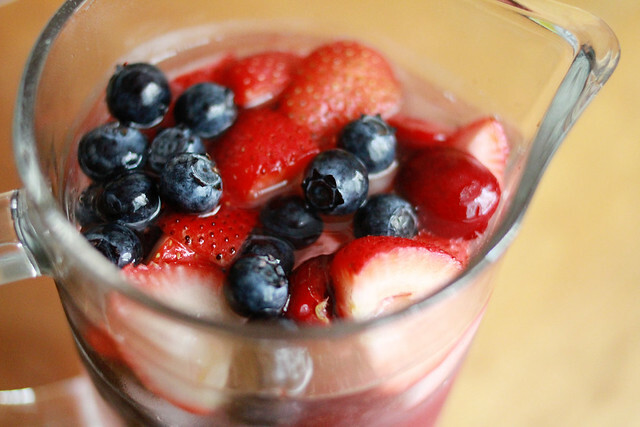 Berry Summer Drink, Berry Refreshing! Perfect for these sticky balmy stuffy hot summer days! 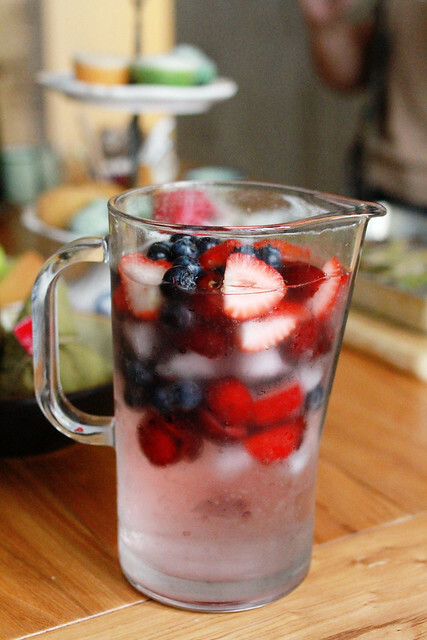 Very refreshing, super easy to make, and looks so damn pretty! You can make it alcoholic or non alcoholic too! To assemble in a pitcher, place ice cubes at the bottom, add a layer of fruits, add more ice cubes, pour soda/booze, and add more fruits on top. When serving,, scoop some fruits into individual glasses, and serve the glass with a pretty dessert spoon. Or just drink the whole pitcher. 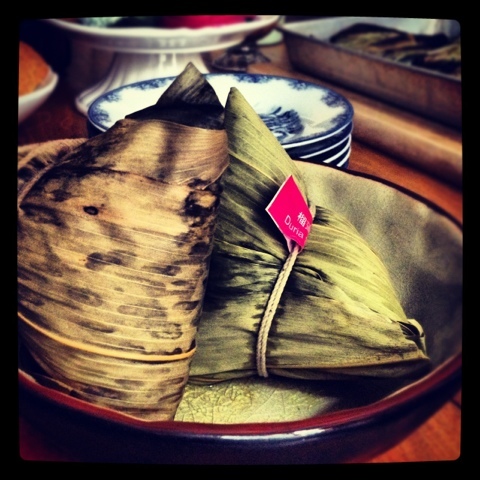 Happy Tuen Ng Festival, everybody! 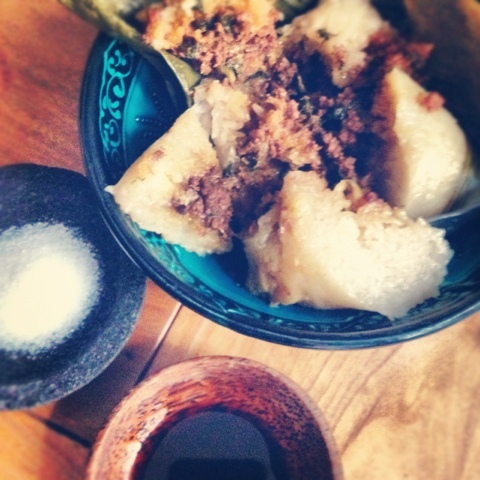 We had yummy beef sticky rice dumpling & durian one from Padang Indonesian Restaurant in Causeway Bay, Hong Kong. Very HK x Indo ;) thank you, Ieie! 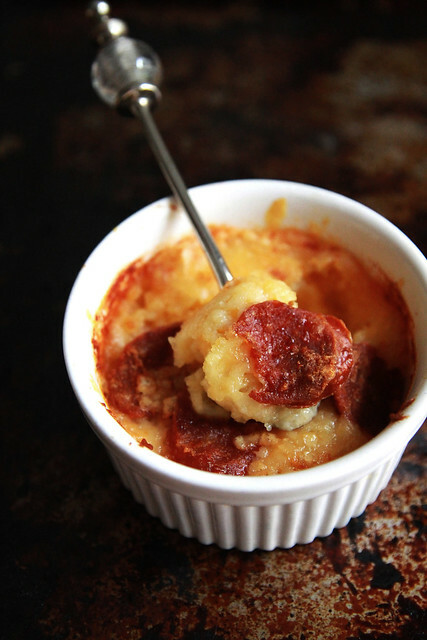 Everything taste better with chorizo, right? And surely, everything taste better with lots of cheese. So this one's a no brainer. SC loved it, he requested to just have a "taste" and ended up cleaning the ramekins. - don't you hate how my recipe doesn't give accurate measurements? Me too. Peel potatoes, cut into large chunks and boil until soft (you can bake them until soft, but I am impatient, boiling is much faster and for this recipe, I don't mind the moisture in the mashed potatoes), mash and mix in the butter bit by bit. 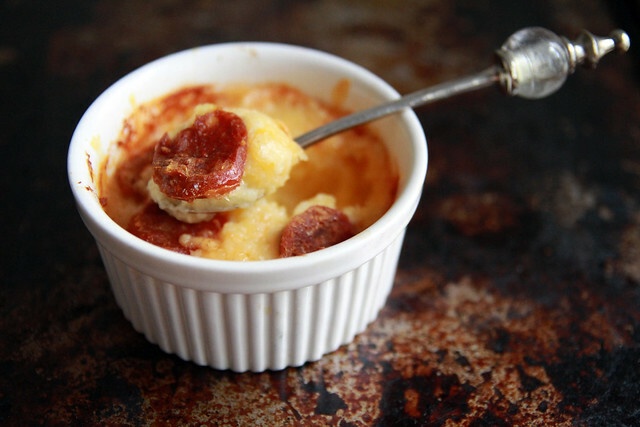 Place mashed potatoes into ramekins, top with grated cheese and chorizo, broil in 250C oven until golden brown. 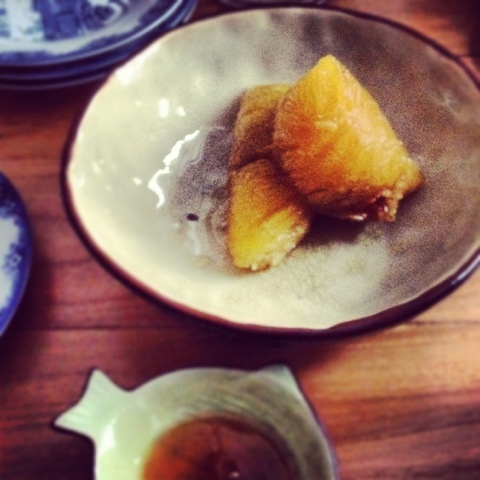 Serve, enjoy, and you'll end up with clean ramekins. So. I made these as the "dessert" of my breakfast. The savory version's the one with smoked salmon & cream cheese. 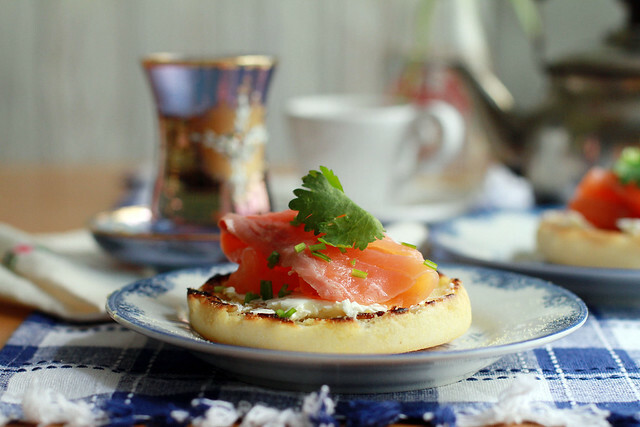 Don't you love English muffins? They're wonderfully chewy and even more delicious when buttered and toasted! Even when I do sweet version, it needs to have a bit of savory touch, so here we go.. the vulgar shot! What's in this sinful breakfast? 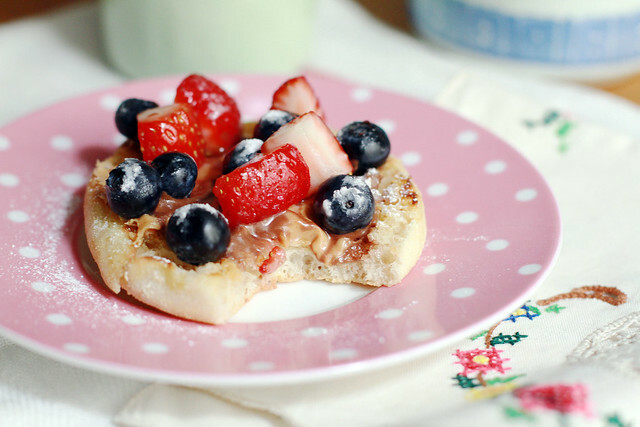 Butter and toast English muffins, slather generously with peanut butter, add hazelnut spread (e.g. Nutella), add fresh berries (I used strawberries and blueberries), dust a bit of icing sugar, and serve. I like mine with black coffee or unsweetened tea. I bought a pack and there are only 3 of us, so we had to eat them a few days straight. Not that we're complaining. 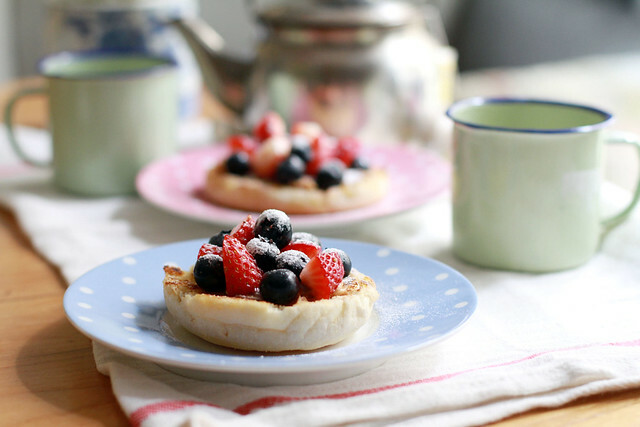 We love English muffins! I don't think I should call this a recipe. Just sharing how I put this together. 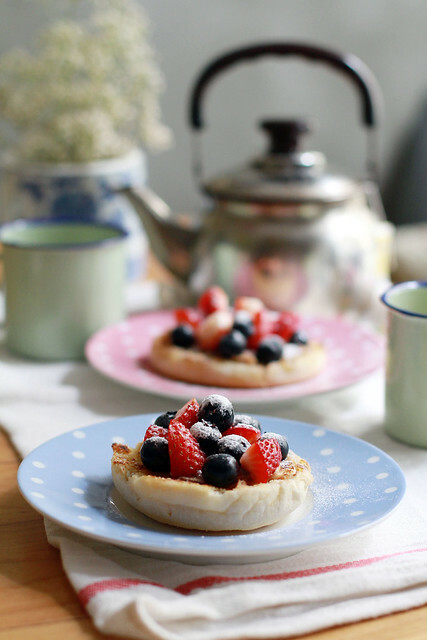 Drizzle English muffins with olive oil and toast on a frying pan until browned. 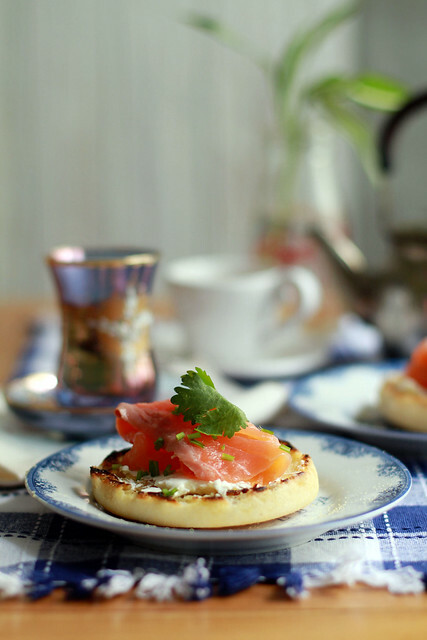 Slather cream cheese generously, add a piece of smoked salmon, drizzle with a bit of lime or lemon juice, sprinkle with chopped fresh coriander. I had mine with a cup of earl grey.